Rik Breukers has completed ARC Bratislava’s lineup for the 24 Hours of Le Mans, with the 18-year-old joining Konstantins Calko and Miro Konopka in the team’s Ligier JS P217 Gibson. Having gained prototype experience in recent years, primarily in the LMP3 ranks, the reigning Lamborghini Super Trofeo Middle East champion is confident ahead of his Le Mans debut. 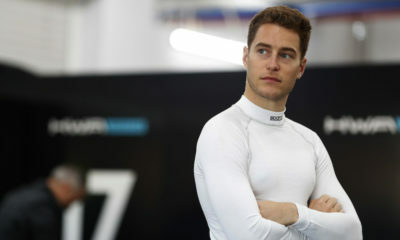 Despite his age, he has already completed close to twenty 24-hour races, and recently competed in the Hankook 24H Dubai with Grasser Racing Team in January. “Le Mans always has been my ultimate goal,” Breukers said. [It is] the pinnacle of endurance racing. I hope my experience in LMP3 and Ginetta G57 will help me to get accustomed quickly to the new LMP2 car. Co-drivers Calko and Konopka competed together in the Asian Le Mans Series over the winter, coming second in the LMP3 teams’ standings.